how are you doing this lovely Saturday evening? Today I have a very special manicure to share with you all. I wanted to make a manicure for the occasion. 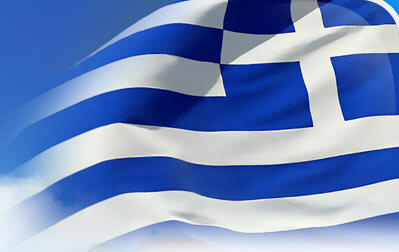 I decided to make something in blue and white as these are the colours of our flag. Here is what I used to achieve the look. 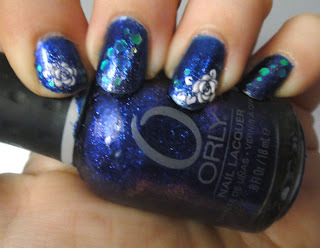 After base coat I applied two coats of Orly Out of this World. Then I sponged GOSH Vanilla Ice on it. 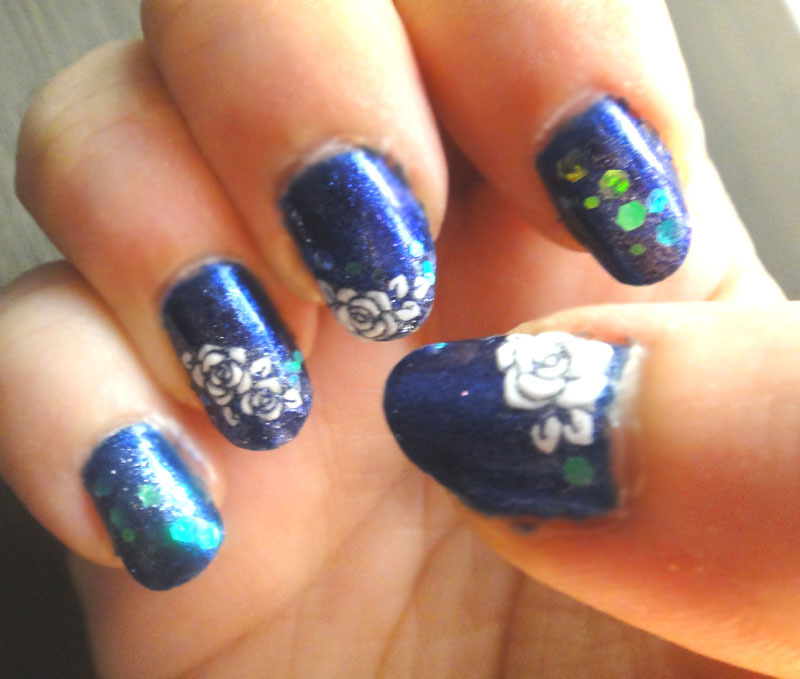 Finally I added the rose 3D stickers and some spangles and sealed everything in with Seche Vite top coat. As for staying power I had this on for 8 days and it was chip free. I finally changed it as I wanted to try another look. 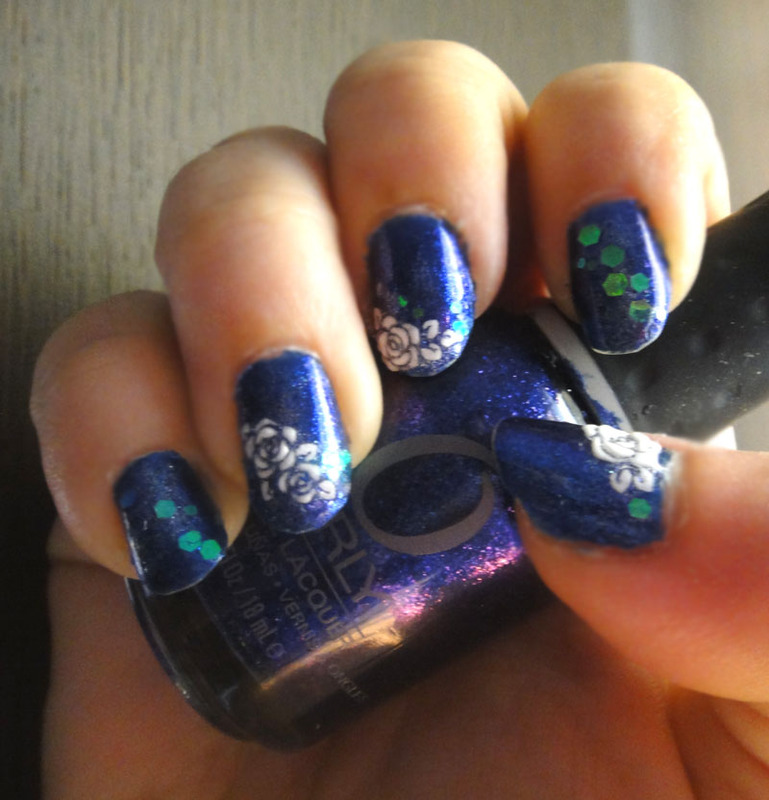 I think it is one of my favourite manicures so far! 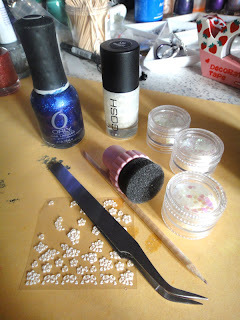 Also don't forget to enter my Springtime Giveaway if you haven't already. Amazing...it's the power of the Greek pride that this mani can last more than 8days. Very beautiful!!! Such a pretty mani! The roses look perfect! Im dying for out of this world and this is why! Are those 3D stickers? I love the rose details! Those rose stickers look great! Where did you get the 3d rose stickers?